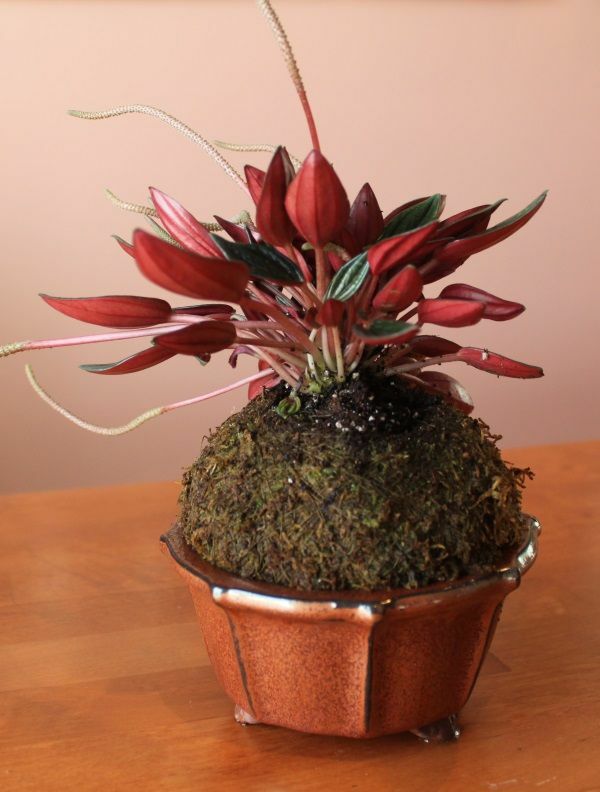 Kokedama is a plant grown in a ball of soil that is covered with moss. 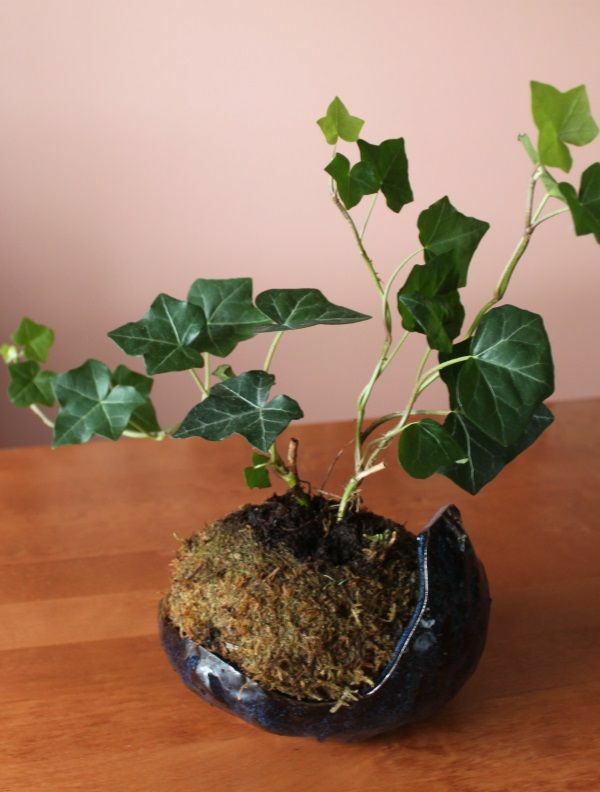 The idea originates from Japan where Kokedama is very popular. The word Kokedama is Japanese and in English translates to "moss ball". Ornamental plants are grown in the moss ball that forms the pot in which the plant will grow. These plants include hosta, small ferns, ivy and grasses. Basically any small indoor ornamental plant can be used as long it is suitable for growing in soggy soil and indirect light. 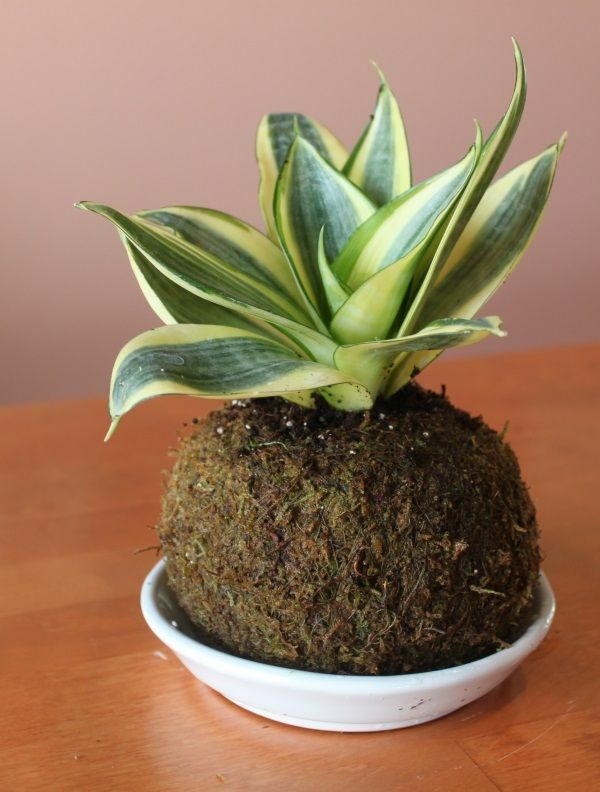 The traditional method of creating a Kokedama is to use a mixture of peat soil or Keto and Akadama, covered by sphagnum moss before holding it all together with nylon string. How to make your Kokedama. • Mix together the soil ingredients, 75% peat soil or Keto and 25% Akadama. Add water if needed to get a consistency that holds together as a ball. • Take the plant from the pot and remove most of the soil from the roots. • Split the soil ball in half and and place the roots of the plant on one half of the ball. Take the other half of the ball and carefully cover the roots to once again form a ball. • Wrap the ball with the sphagnum moss and then tie it all together using the nylon string. How to take care of your Kokedama. • Water regularly. Place the moss ball in a bucket of water for a few minutes. Allow the excess water to run away before replacing back to it's original position. • Mist the plant daily. • Fertilize the plant every fortnight by adding some to the water when watering.